Myanmar | Ican Company Ltd.
We have supplied container cranes and transfer cranes to Yangon port, Myanmar after democratization of Myanmar in 2011. 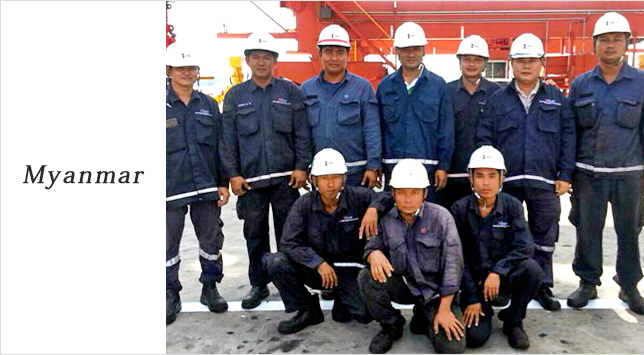 As maintenance and technical service was lacking at that time, we established a maintenance company in Myanmar in 2014 to provide technical service to mantaine cranes properly. Nowadays we have been providing quick and reliable service though our technical staff who acquired expertise in Singapore to cope with the 24 hour operation of cranes. Supply of parts are available from both domestic and overseas sources without delay.